HOT DEALS: Monday Madness sale at Play.com | What Hi-Fi? There's also a Toshiba BDX2100 Blu-ray player for £89.99, a Samsung BD-C5500 for £129.99 and a Panasonic DMP-BD65EB with a gift-pack of six Blu-ray films for £129.99. 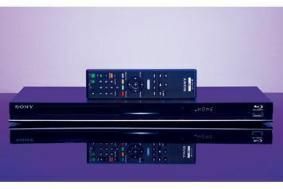 If DVD's still your thing, you can buy a Samsung DVD-C350 DVD player for £34.89 or an LG DVX582H model for £44.99. And there's a Toshiba RD329 Freeview HD recorder with 320GB hard drive at £294.99. As for software, Play has a wide selection of Blu-ray discs from £6.99 and DVDs from £5. Check out more hot deals in the Monday Madness sale on the Play website.